Before receiving her Doctor of Dental Surgery degree from McGill University in 1997, Dr. Livia Silvestri first earned her Bachelor of Science degree in Honours Immunology. The summer before graduating from dental school, Dr. Silvestri was exposed to interdisciplinary dental studies as she participated in an externship program conducted at New York’s Mount Sinai Hospital. 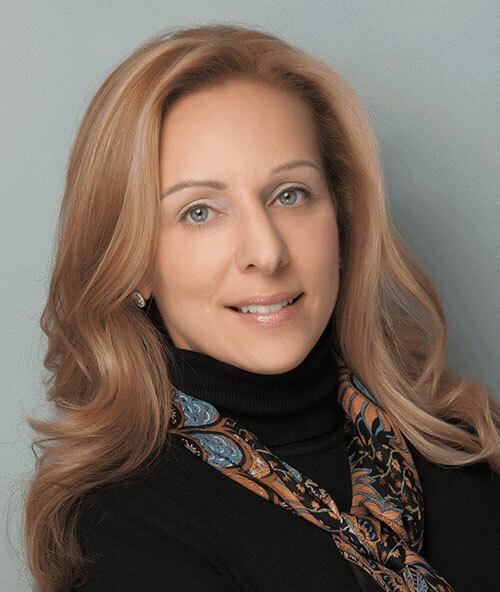 Interested in the aspects of biological healing and regeneration, Dr. Silvestri relocated to Toronto, where she completed her Master of Science degree at the University of Toronto in 2000 while also honing her skills as a periodontics and implantology specialist. Her Master’s thesis discussed the role of calcium as a messenger in the overgrowth of gingival tissue when influenced by multiple medications. During her academic training, Dr. Silvestri was involved in several research areas pertaining to dental implant healing; bone and gingival physiology; and immune system based diseases. Both in dental and graduate school, due to exposure to a wide range of dental fields, from resection due to head and neck cancer to purely aesthetic dental reconstruction, Dr. Silvestri witnessed and learned to appreciate the adaptive use of both dental implants and periodontics for a wide range of patients and situations. With her specific background, Dr. Silvestri has skillfully focused her practice on dental implants, bone regeneration associated with periodontal disease and periodontal surgery with intent to restore dentogingival esthetics.